Two Saudi sisters marooned in Hong Kong after fleeing their family appealed to authorities not to deport them while they seek sanctuary in a third country as the clock ticked down Thursday on their permission to stay. The siblings are the latest example of Saudi women escaping the ultra-conservative kingdom only to find themselves stranded in foreign cities and making public appeals for their safety. The young women, aged 20 and 18, said they made a break from an abusive family during a holiday in Sri Lanka last September, with the intention of heading for Australia. But they only made it as far as Hong Kong. The two women -- who use the aliases Reem and Rawan -- said they were intercepted by Saudi consular officials at Hong Kong's airport and had their air tickets cancelled. Fearful they might be abducted, they entered Hong Kong as visitors where they say they have had to change locations 13 times to stay hidden. Their passports were later revoked. Michael Vidler, a lawyer for the pair, said city immigration authorities had previously indicated the pair would be "tolerated" until February 28. As that deadline loomed they issued a fresh appeal on Thursday asking authorities to allow them to remain as "tolerated overstayers" while they seek "emergency rescue visas to a third country". "We are in fear every day we are in Hong Kong," the two sisters said in a statement posted late Thursday on the Facebook page of their lawyer' firm. "We want to leave to a third country place of safety as soon as possible. We hope that this will happen soon and that the Hong Kong government will continue to allow us to stay here until then," they added. Immigration authorities in Hong Kong have so far refused to comment on the case. The city itself has a poor record on refugees, only granting sanctuary to less than one percent of claimants. The two women told AFP last week that chronic physical abuse by male family members prompted them to flee. They said they had also renounced Islam, a crime technically punishable by death in Saudi Arabia. Their testimony cannot be independently verified and Saudi authorities have yet to comment on their allegations. But many Saudi women who flee overseas have described to media and rights groups of persuasive and coercive tactics used by Saudi officials and family members to pursue those who escape. In the statement on Facebook, Vidler said he was "hopeful" Hong Kong would extend his clients' stay and that their asylum request in a third country would be granted soon. 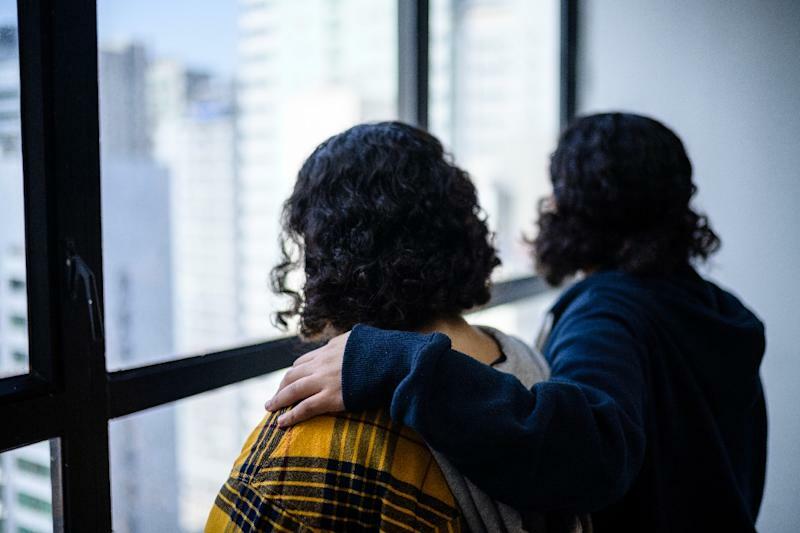 The Hong Kong sister's case emerged a month after 18-year-old Saudi Rahaf Mohammed al-Qunun drew global attention with her dramatic escape from an allegedly abusive family, eventually gaining refugee status in Canada.